Radley Family Law is a top family law firm with expertise in a wide range of legal areas. Our team has years of experience helping Ontarian families resolve their issues in an effective and efficient manner. We serve clients in Brampton and the surrounding areas and have done so efficiently for decades. As Radley Family Law expands its services to Brampton, Ontario, we invite potential clients to contact us today to set up a free consultation with one of our experienced and understanding Brampton divorce and family lawyers. Rachel Radley, who is a former attorney with the province’s Family Responsibility Office (FRO), and her team have extensive experience in divorce, child custody and access, child protection, and numerous other family-related legal matters. 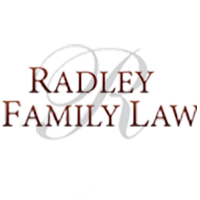 At Radley Family Law, we take great pride in fostering a reputation for excellent service to clients in search of legal representation in family-related disputes. Our success can be attributed primarily to the fact that we put our clients’ needs first. With a dedicated team of family lawyers and legal advisors, Radley Family Law has a reputation for working diligently and reliably to protect and enforce your legal rights. Whatever legal family matters you are grappling with, our team will provide service tailored to your specific needs. Family legal disputes are often overwhelming, complicated, and painful experiences. As family lawyers, it is our job to take care of your legal matters while you focus on resolving your disputes and ensuring a safe and happy life for your family. Through our many years of experience, we have come to understand the pain of a serious legal rift among family members. By resolving these issues as efficiently as possible, we hope to allow you to move on from your trouble and regain control over your life. Radley Family Law’s team of Brampton family lawyers has been practicing family law in Ontario for years. During that time, we have developed an expertise in a range of legal areas, including child custody and support; spousal and child support; separation agreements, uncontested divorce, and divorce decrees; division of property; restraining orders; and marriage contracts and cohabitation agreements. We also offer advice for trying to resolve disputes out of court, where applicable. Our firm’s founder, Rachel Radley, is a former attorney at the Province of Ontario’s Family Responsibility Office, which helps us to understand and work within the framework of this important organization. If you are in need of legal advice or representation in the Brampton, Ontario area, please fill out the form below to schedule your free consultation and find out how the family lawyers at Radley Family Law can help. At Radley Family Law Brampton, we value the unique role family plays in an individual’s life. Call us today at 905-669-2109 or reach us through our online contact form here to set up an appointment. Our team of Brampton family lawyers is prepared to help! Rachel Radley serves her Brampton family law and divorce law clients, as well as those in neighbouring cities, from her Vaughan, Ontario offices.